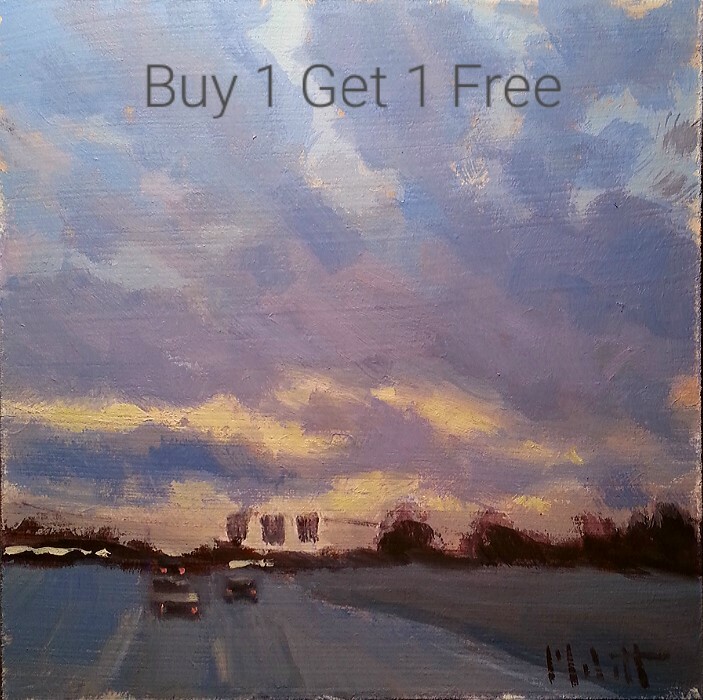 Buy one painting Get one Free! If you buy one of my paintings I will send you a free one of your choice. Free painting must be equal or lesser value. Any size painting is included in this special. If you do not have a Paypal account you can checkout as a guest on PayPal.